Dan Larimer, or “dantheman” (his moniker on the blockchain social media platform; Steemit), is one of the most recognizable names in the blockchain community. He is right up there with the likes of Vitalik Buterin, Nick Szabo, and the mysterious Satoshi Nakamoto. 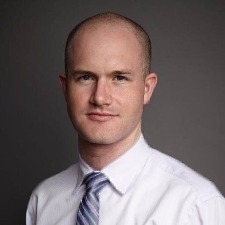 His contribution to the cryptocurrency and Blockchain Technology space are immense and he has been involved in or has co-founded numerous blockchain-based applications. Dan is a regular contributor in many blockchain conferences, lending his knowledge and ideas to the community at large. He has become known for his aversion to violence and his dislike for the centralized entity called government. Dan was born in the state of Colorado, but he grew up in Virginia and Florida. At the turn of the millennium, he began studying at the Virginia Polytechnic Institute and State University. In 2003, he graduated with a Bachelor of Engineering (BE) degree from the university and in 2009 he became actively involved in cryptocurrency and blockchain technology. He learned coding and computer programming from his father, Stan Larimer. As early as 2009, Dan had been actively trying to develop a digital currency. According to his own admission, he became disillusioned with the construct of government and the mainstream financial market. He referred to government as an “organized crime syndicate” and was actively looking for a way to develop a truly free market alternative that would be immune to the centralized government control. In his quest, he prioritized three key elements of demand: property, liberty, and life. These three elements were in his mind, the core aspects of any framework that would improve the standard of living of a greater majority of people. Finding workable solutions to those three key demands became the focus of his attention. Upon further inquisition into the nature of government and how it manages to control the social sphere, Dan admits to getting something of an epiphany. The summary of this epiphany was that money (currency) was the “root of government power.” In order to take down the monster that was government, Dan realized that he needed something to replace fiat currency. This new form of currency would have to be out of the control of the government. The way to do this was to have it not backed by any physical asset that can be forcibly controlled by the government. It was in the midst of his search for a successful implementation of such an idea that he came in contact with Bitcoin. 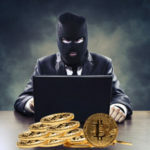 In November of the previous year, a white paper written by the unknown Satoshi Nakamoto had introduced Bitcoin to the world. It signaled the start of a revolution with the emergence of the blockchain. 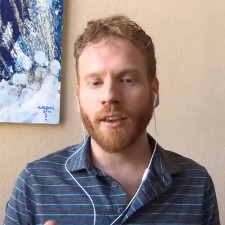 Dan admits to being instantly hooked on Bitcoin’s premise and began to actively promote Bitcoin. Dan’s first blockchain platform was called BitShares. It was launched in 2014 as a decentralized exchange platform. It made use of Delegated Proof of Stake (DPoS) which ensured faster transaction times. The creation of the platform was necessitated in part by Larimer’s discomfort with the incessant shutdowns of centralized exchanges. He also wanted to create a system that would enable fiat to bitcoin exchange without the need for a third-party agent; a truly decentralized exchange platform. 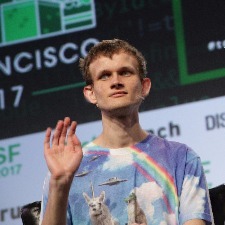 He co-opted a number of notable developers like Charles Hoskinson (co-founder of Ethereum) and Bitcoin tycoon Li Xiaolai. When the price of Bitcoin crashed in 2014, the value of the proceeds raised from the funding drive for BitShares dipped considerably. This is when Dan began to get the idea for more efficient and sustainable fundraising means for blockchain-based projects. Up came BitShares 2.0 which was developed on the Graphene blockchain. Graphene aimed to solve many of the problems associated with BitShares especially in the areas of Blockchain scalability and performance efficiency. Despite the marked improvements in the platform architecture, the project didn’t turn to be successful enough from an economic standpoint. Dan was forced to leave the platform and focus on other projects. Despite the issues associated with BitShares 2.0, Dan continued to be convinced in the potential applications that could be built on the Graphene blockchain. In 2016, together with Ned Scott, he created STEEM. With Ned Scott as the CEO, STEEM was developed to be a blockchain-based social media platform. With over $220,000 secured in private funding, a functioning website was created and mining operations began for the STEEM cryptocurrency. One of the noteworthy elements of the STEEM project was that early adopters did not incur any cost for participating in the network. New users were given $5 in STEEM cryptocurrency in order to be able to interact fully with the platform. Presently, there are virtually no transactions on the STEEM network that have any fees attached to them. In 2017, reports began to emerge of a falling out between Dan and members of the STEEM project and that he (Dan) had left the project. In April of 2017, both Steemit and Dan released a joint statement confirming the split but refuted any falling out. The statement went on further to state that Dan’s departure from the project was in every way amicable. Dan became attached to the EOS project in 2017 in the role of CTO. EOS is being developed by Block.one, which is a blockchain OS that enables the development of commercial dApps (decentralized applications). EOS promises to be a protocol framework that significantly addresses many of the issues associated with DAOs and dApps. It utilizes parallel processing to ensure Horizontal scalability and there are no transaction fees. One striking feature of the EOS protocol is that it allows the use of different programming languages to code dApps. Developers can choose to use C, C++, and even Rust. Dan has admitted to being particularly excited by the potential of applications written in C++ and running of EOS WebAssembly which according to him process transactions 16 times faster than apps running on Solidity. 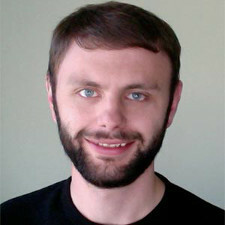 Dan Larimer is divorced and had a long-running legal battle with his ex-wife. Dan admits in his own introductory post on Steemit that his divorce was one of the biggest driving forces behind his travails in the cryptocurrency world. Most of this personal upheaval happened right when he was finding his feet in the cryptocurrency community. He considers himself to be an “Austrian Economist” and has written a number of blog posts on the concept. He also likes to describe himself as both a programmer and an economist.